The production of ETUIX products is “made in Italy” which stands for quality and design. From the maxi poster to the smallest finishing touch, every step of the manufacturing process has been monitored to achieve the best possible product. 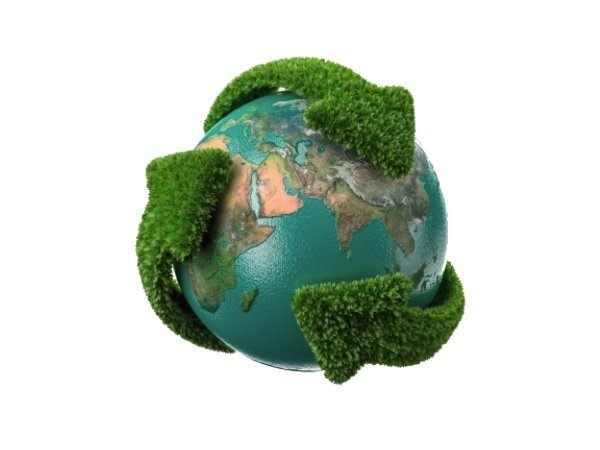 The manufacturing process is eco-friendly. Moreover, through the PVC sheets recycling, ETUIX gives a new life to a kind of material that, during its disposal, highly pollutes the environment. This way, carbon emissions in the air are reduced. All PVC sheets, before being processed, are being washed and sanitized from the impurities they have collected when displayed as advertising posters. ETUIX converts the maxi posters into fashion accessories, in order for you to look original, trendy and eco-sustainable. Everything starts by the printing on the PVC advertising sheet, commissioned to LAPIX SAGL. The maxi posters are a very visual means of communication: reaching up to 800 square meters in size! When the displaying time comes to an end, the poster is removed, and once in our warehouse cut out in pieces of standard size. The next step is to cut the pieces into custom sizes to create our eco-sustainable accessories. The pieces of PVC posters are being washed and treated to remove all the impurities they absorbed when displayed outdoors. 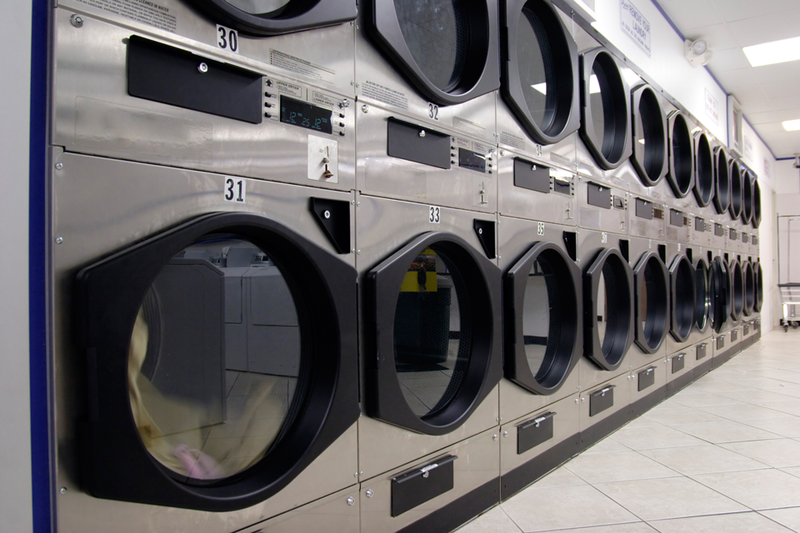 This technique removes the unpleasant odours too, which are present in the products of competing brands. 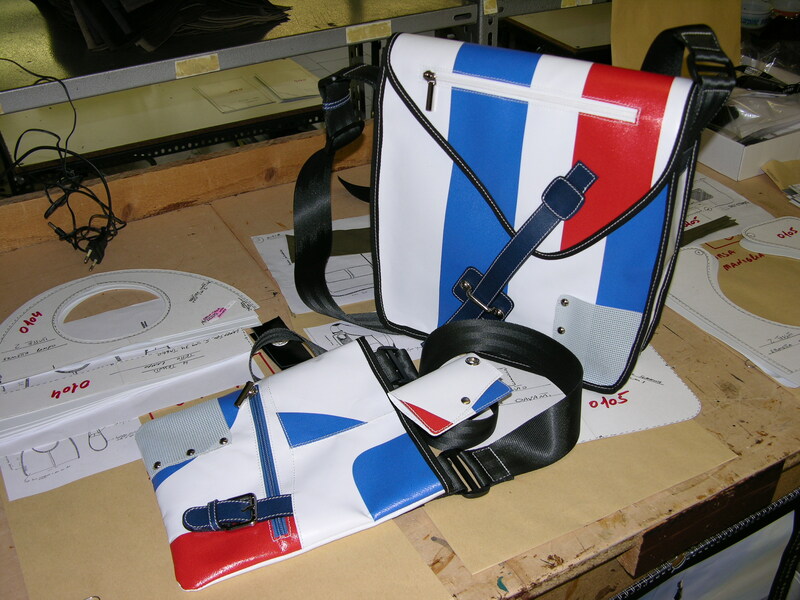 The PVC, cut into pieces and washed, is handed over to our tailors, who skilfully put them together and sew them up, creating our bags and accessories. At the end of the above process each single unit is thoroughly checked to prevent defects, then labelled and packed. Each ETUIX bag sold, apart from decreasing carbon emissions, helps the environment. To make this world a better place to live in, ETUIX gives (for each item sold) a percentage to support other eco-sustainable fashion projects.